I’M GOING TO NEW YORK FASHION WEEK!! GUYS!!! What the *&^$(*# is going on!?!? I’m frickin’ going to fashion week and my head’s a whirlwind right now! 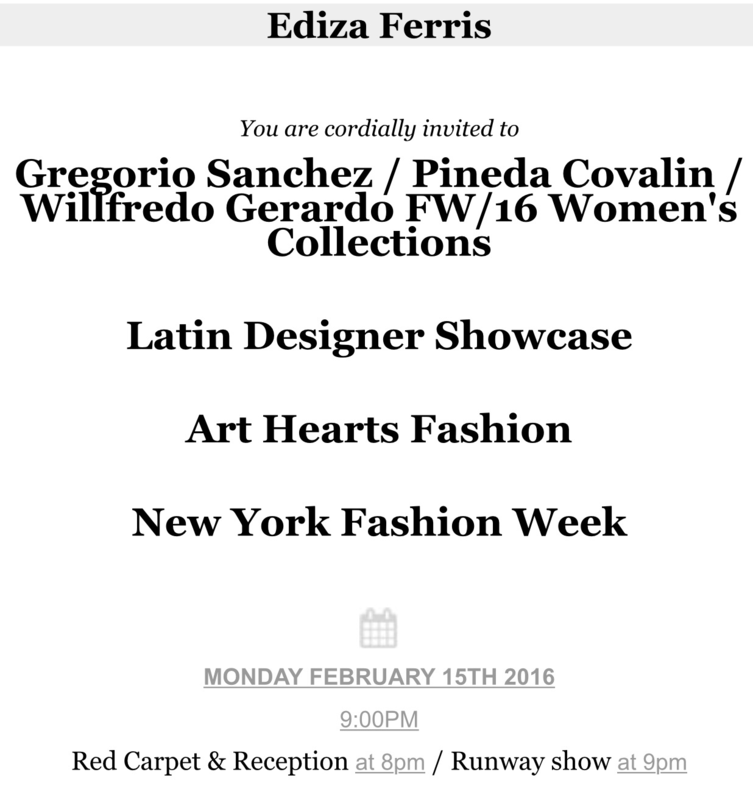 HGF has just received confirmation for my first show with Art Hearts Fashion and I am more than ecstatic! This will be the first time that I will be headed out to New York to attend fashion week and I am already looking into outfits to wear. This is a new adventure for me and will be looking for some amazing designs to share with you all! If you want up to the second coverage of NYFW please follow my Snapchat my code is on the sidebar or you can add me in by username: edizarodriguez, also head back to to the site I’ll be updating my instagram too! My hotel is booked, RSVP’d YES, and flight is ready! I can’t wait to share the everything with you! Stay tuned!